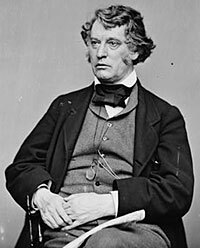 President-elect Lincoln proposed comparing heights with a stiff-backed Senator Charles Sumner. Mr. Lincoln later recalled: “Sumner declined to stand up with me, back to back, to see which was the tallest man, and made a fine speech about being the time for uniting our fronts against the enemy and not our backs. But I guess he was afraid to measure, though he is a good piece of a man. I never had much to do with bishops where I live, but, do you know, Sumner is my idea of a bishop.”1 Nevertheless, the two opponents of slavery soon found reasons to work back to back. It is often said that war will make an end of slavery. This is probable. But it is surer still that the overthrow of slavery will make an end of the war. 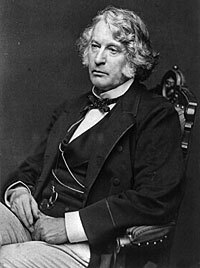 Charles Sumner was familiar with struggle. His twin sister died at age 21. He was the oldest of nine children. He was a social outcast among his peers and poured himself into books, teaching himself Latin. When he was a teenager, his father was appointed Sheriff of Suffolk County (Boston). He had trouble at Harvard because he had trouble with math. His nickname was “Chatterbox.” He continued at Harvard Law School where he worked much harder and Supreme Court Associate Justice Joseph Story became his mentor. He was a good scholar of the law but a lousy lawyer. He spent much of his time trying to qualify for a full-time post at Harvard Law School, where he occasionally lectured. 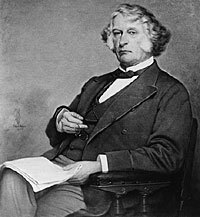 Sumner did, however, develop a talent for making acquaintances, famous acquaintances with political and literary elites– like Henry Wadsworth Longfellow. 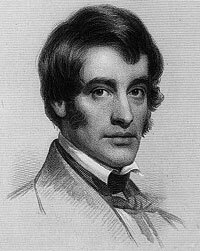 Indeed, the literary-intellectual elite of Massachusetts like Ralph Waldo Emerson were his most faithful supporters. 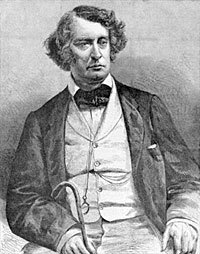 In 1837, he decided to make a tour of Europe in order to broaden his knowledge of the law and enhance his prospects for a teaching position. His British friends, in particular, were useful to him over the next three decades. He traveled through England, France, and Italy and didn’t return to the U.S. until 1840. Charles Francis Adams later observed that “Sumner is impulsive and ardent and this carried him perpetually to an extreme.” His friend Hilliard observed: “Sumner is so much occupied with thoughts of how the world is to be made better, that he does not pause to consider and observe what the world really is.”13 Hilliard also said: “His mind and character require the stimulus of something outward and exoteric, some strong pressure, to take him out of himself and prevent him from a morbid habit of inactive brooding. He is a man of moral enthusiasm; made to identify himself with some great Cause and accept and surrender himself to it unconditionally,” wrote biographer David H. Donald.14Having failed to win the approval of the Boston establishment, he decided to fight it. 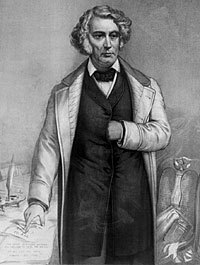 In 1846, conscience Whigs such as Charles Francis Adams, launched an attack on Cotton Whigs such as Robert Winthrop. 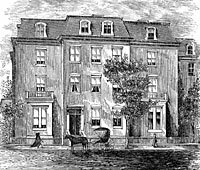 Sumner was in the forefront of printed attacks on Winthrop. 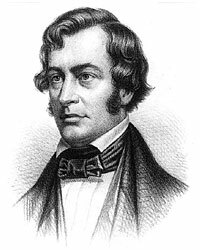 “…it is true that a whole series of personal disasters and professional failures during the early 1840’s had turned Sumner against the Boston society he once so admired.”16 In 1848, the Whigs of Massachusetts split apart among factions tied to Webster, the Conscience Whigs and those supporting General Zachary Taylor for President. The result was to alienate the Conscience Whigs from the rest of the party. That year, Sumner helped organize the Massachusetts Free Soil party. 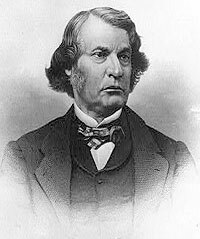 When Robert Winthrop succeeded Webster in the Senate in 1850, Sumner was nominated for Congress and soundly defeated. 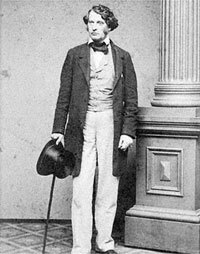 Although publicly opposed to coalitions, he privately supported cooperation with the Democrats in the 1850 elections – in opposition to Charles Francis Adams who later said that Sumner showed “some want of character.” When the Whigs failed to get a majority of the state legislature, the Democrats and Free Soilers. A deal was hatched for the Democrats to get most of the state offices and the Free Soilers to get a six-year Senate seat. The coalition. 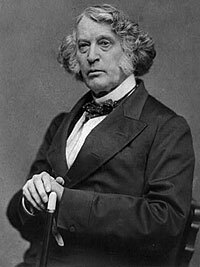 It was difficult for either the Whigs or the Democrats to get complete unanimity; the opposition of Democrat Caleb Cushing thwarted Sumner’s ambitions. It took over three months – from January 23, 1851 to April 24, 1851 – and 26 ballots for Sumner to win election by a margin of one vote. Like Chase, Sumner was a good slogan maker but a bad coalition builder. 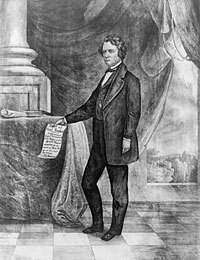 In his “Crime Against Kansas” speech on May 19, 1855, Summer deliberately insulted Senator Butler of South Carolina as a man who “has chosen a mistress to whom he has made his vows, and who, though ugly to others, is always lovely to him; though polluted in the sight of the world, is chaste in his sight…the harlot, Slavery.” After he read the text of the speech, Butler’s nephew, Preston Brooks, decided he must be punished. He approached Sumner at his desk in the Senate, began to explain that his speech was a “libel on South Carolina,’ and when Sumner appeared to be getting up, he hit him with his cane to prevent it and started beating him mercilessly with the gutta-percha cane. Sumner finally ripped the desk from the floor and staggered away as Brooks continued to beat him. The beating made both Brooks and Sumner heroes. Anti-slavery Northerners complained about “Bleeding Sumner” and “Bleeding Kansas.” Certainly, it turned his “Crime Against Kansas” speech into a hot item. 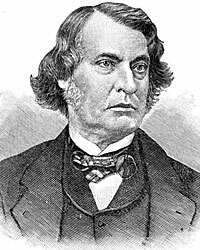 When the Massachusetts legislature met in 1857, Sumner was elected by a margin of 333-12. Sumner spent much of the next several years convalescing – especially in Europe and enduring some quack “cures” which aggravated his problems. A healthy Sumner only returned to the Senate for keeps in December 1859. He was charged with faking illness but all evidence suggests that his physical problems were very real. 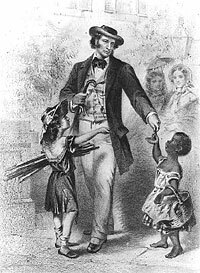 His real return was marked by his “Barbarism of Slavery” speech on June 4, 1860. Nothing at Cabinet, Seward and Chase absent. The President engaged in selecting provost-marshals. Sumner called this evening at the Department. Was much discomfited with an interview which he had last evening with the President. The latter was just filing a paper as Sumner went in. After a few moments Sumner took two slips from the pocket, -one cut from the Boston Transcript, the other from the Chicago Tribune, each taking strong ground against surrendering the Peterhoff mail. The President, after reading them, opened the paper he had just filed and read to Sumner his letter addressed to the Secretary of State and the Secretary of the Navy. He told Sumner he had received the replies and just concluded reading mine. After some comments on them he said to Sumner, ‘I will not show these papers to you now; perhaps I never shall.’ A conversation then took place which greatly mortified and chagrined Sumner, who declares the President is very ignorant or very deceptive. The President, he says, is horrified, or appeared to be, with the idea of a war with England, which he assumed depended on this question. He was confident we should have with England if we presumed to open their mail bags, or break their seals or locks. They would not submit to it, and we were in no condition to plunge into a foreign war on a subject of a little importance in comparison with the terrible consequences which must follow our act. 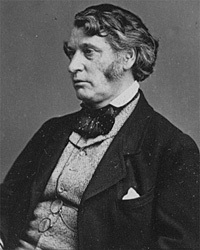 Of this idea of a war with England, Sumner could not dispossess him by argument, or by showing its absurdity. Whether it was real or affected ignorance, Sumner was not satisfied. 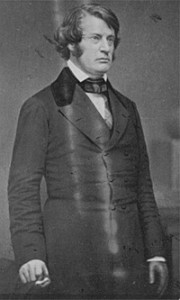 At the end of the Lincoln administration, Sumner hoped for an appointment as Secretary of State and blocked an appointment of John Andrew for Attorney General in order to preserve that possibility. He was ambitious but his quarrels with President Grant became almost more bitter and personal than those with Johnson. Much of that fault lay with Grant who took umbrage against Sumner’s opposition to annexation of the Dominican Republic, which Sumner correctly viewed as part of a corrupt bargain. 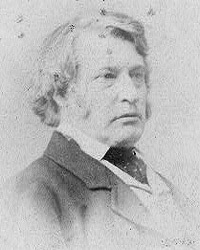 Biographer David Donald argued that unlike Pennsylvania Congressman Thaddeus Stevens, Sumner was not an organization man and lacked comparable organizational clout in the Senate. Sumner “was, despite his seniority, a political outsider; he disliked committees, except when he was chairman, was ineffectual in caucus, and proved inept at drafting legislation. He announced principles, as from on Mount Sinai, and deplored the compromises needed to transform ideals into legislative reality.”22 Typically, he wasted political capital and moral leverage by opposing the 14th and 15th amendments. Donald married the daughter-in-law of a Massachusetts Congressman, Alice Mason Hooper. It was a disastrous marriage. She was 30 years younger, sharp-tongued, and in no mood to stay home with her aging husband. She put a severe strain on his finances and they split within a year. He viewed her as wicked and after their separation, referred to her as “that woman.” Sumner had little time for sentiment. Allen Thorndike Rice, editor, Reminiscences of Abraham Lincoln, p. 223 (Benjamin Perley Poore). Ida M. Tarbell, Life of Abraham Lincoln, Volume II, p. 97. David Donald, Charles Sumner, Volume II, p. 48 (E.E. Hale, memorandum of April 1862 in Memories, II, 189-196). Moorfield Storey, Charles Sumner, p. 203-204. Allan Nevins, The War for the Union: War Becomes Revolution, 1862-1863, p. 203. Richard Nelson Current, Speaking of Abraham Lincoln: The Man and His Meaning for Our Times, p. 92. David H. Donald, Charles Sumner and the Rights of Man, p. 208. Ida Tarbell, The Life of Abraham Lincoln, Volume II, p. 136. Moorfield Storey, Charles Sumner, p. 230 (E.E. Hale, memorandum of April 1862 in Memories, II, 189-196). Moorfield Storey, Charles Sumner, p. 201-202. David H. Donald, Charles Sumner and the Rights of Man, p. 130. David H. Donald, Charles Sumner and the Rights of Man, p. 171-172. David H. Donald, Charles Sumner and the Rights of Man, p. 148. David H. Donald, Charles Sumner, Volume I, p. 387-388. David H. Donald, Charles Sumner and the Rights of Man, p. 152. Eric Foner, Free Soil, Free Labor, Free Men: The Ideology of the Republican Party Before the Civil War, p. 114-115. David H. Donald, Charles Sumner and the Rights of Man, p. 269. Moorfield Storey, Charles Sumner, p. 230. Gideon Welles, Diary of Gideon Welles, Volume I, p. 287 (April 28, 1863). David H. Donald, Charles Sumner and the Rights of Man, p. 54. David H. Donald, Charles Sumner and the Rights of Man, p. 238-239. David H. Donald, Charles Sumner and the Rights of Man, p. 251.